Under net neutrality, your internet service provider (ISP) is not able to engage in any manipulation that controls what you can see online. Comcast, Verizon, Cox, or any other ISP can’t gate off content or internet speed behind paywalls. Of course, the reality behind net neutrality is far more complicated than this simple summary. At the heart of the issue is how we understand the internet as an entity, namely a much larger question of whether or not we want to treat the internet as a public utility. To talk about net neutrality requires placing it in the larger context of developing telecommunications technology, legal complications, government policy, and lobbyists. When you’re reading about net neutrality, it’s likely that you start with one question: Why should I care? The short answer is that an open internet makes all ISPs treat everyone’s data equally; ISPs do not get to censor certain lawful sites nor can they make certain legal sites run slower than others. For instance, if your internet provider has ties to a particular entertainment streaming service or cable channel, it could conceivably slow download or streaming speed on any channels or streaming services that compete with theirs. Any ISP could also demand more money to give you the bandwidth to stream your favorite Netflix or Amazon Prime show. Net neutrality keeps this from happening. 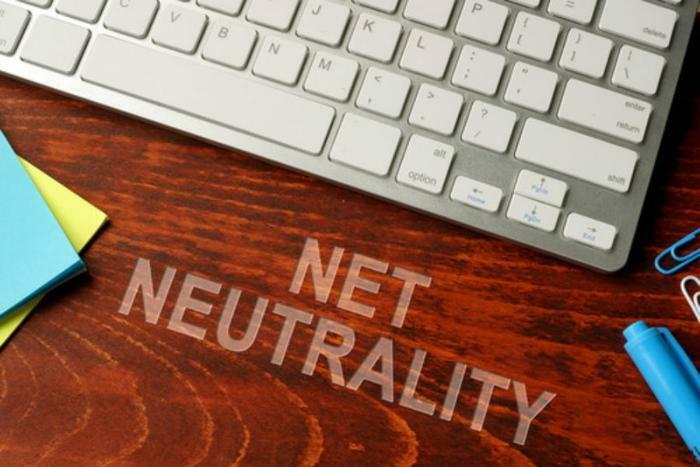 In May of 2015, the FCC chose the second option, upholding net neutrality and maintaining the internet service users are accustomed to. The FCC classified the internet as a communication service and ISPs as “common carriers” under Title II of the Communications Act of 1934. Ultimately, this means that the internet was kept as open as possible. However, as of April 2017, the FCC started the process of weakening the 2015 ruling. Under the direction of Chairman Ajit Pai, the FCC drafted the “Restoring Internet Freedom” proposal in May 2017 to begin dismantling the 2015 decision. Pai believes that deregulating the internet, what he calls “light-touch” regulation, will create more ISP competition and give consumers more options when it comes to choosing an ISP. Then, he reasons, the industry would not be dominated by large companies like Cox, Comcast, AT&T, and Verizon. Since May, a wave of consumers have come out firmly against Pai’s plan to remove net neutrality protections, while most ISPs are in favor of deregulation. The next step will be a vote to move forward with the May proposal. There is no set date on this vote, so there is still time to voice your support of, or opposition to, net neutrality. Be sure to call your senators to let them know if you want to protect net neutrality backed by Title II laws. Though the future of the internet remains unsure, one part is fairly certain: if net neutrality ends, the way you interact with and pay for internet access will change. The degree to which it will change, though, remains to be seen.